AGRITECHNICA ASIA held in BITEC was successfully concluded. AGRITECHNICA ASIA 2018 held in BITEC(Bangkok Kingdom of Thailand) 22-24.AUG. 2018 was successfully concluded. Size of the venue was 1.1ha. From 28 countries about 300 companies were exhibited. According to the announcement of the organizer, the number of visiters was more than about 10,000 in 3days. 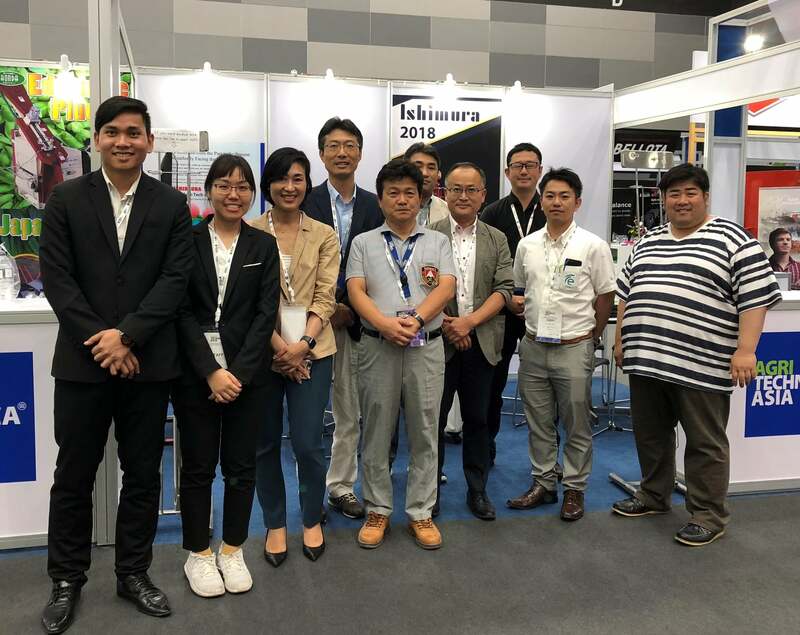 4 Members of Hokkaido Agricultural Machinery Manufacturers Association IHI Agritech Co.,Ltd., Ishimura Farm Machinery Co.,Ltd., Fe Co.,Ltd., Honda Noki Kougyo Co.,Ltd. were exhibited. Than koyu for visiting our Booth. 4 reguler members of HAMA are going to exhibit AGRITECHNICA ASIA 2018 held at BITEC in Thailand 8.22-8.24. IHI Agri-Tech Corporation, FE Co., Ltd.,ISHIMURA FARM MACHINERY Co., Ltd.HONDA-NOUKI-KOUGYOU Co., Ltd.
HAMMA ordinary general meeting was held on 25,May,2018. TAKENAKA former executive director has been appointed to the managing director. HOKKAI KOUKI Co., Ltd. joins HAMA as a regular member. Please refer to regular menbership roaster. IHI Agri-Tech Co. was launched. IHI Corporation integrated IHI Star and IHI Shibaura on October 1, and launched IHI Agri-tec Corporation. HAMA was established in 1958. Our purposes are promoting advancement of technology, making business innovation and enlargement of market. The regular member are 30 agricultural machinery manufacturers in Hokkaido, which products are potato harvester, sugar beet harvester, carrot harvester, forage harvester, daily implement and vegetable washer, et al; the supporting member is 28 agricultural machinery dealers. Now four member companies exhibit main products.